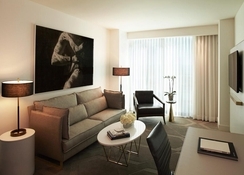 Let luxury caress all your sense at the Delano Las Vegas, where excellent service and facilities make for an unforgettable Las Vegas vacation. From the moment you arrive, the impressive 43-story golden building doesn’t fail to amaze. With incredible restaurants, a gym and a spa, as well as fully equipped and comfortable guestrooms, the hotel is well suited to accommodate all kinds of travellers. 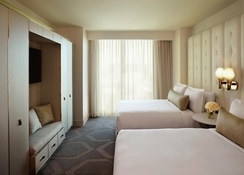 This hotel is connected to the Mandalay Bay Resort and Casino, so you can access its magnificent rest areas and even an artificial beach. 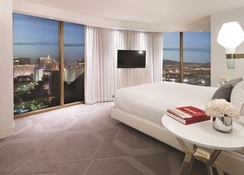 The 5-star Delano Las Vegas at Mandalay Bay, Las Vegas, is perfect for your city trip. The Mandala Bay Shark Reef is easily accessible from the hotel. 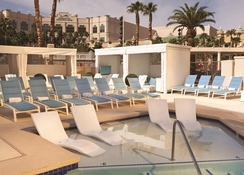 Delano Las Vegas is located at a prime area, close to the Little Church of the West (1.2km). Within a radius of 1km you can find tourist attractions like M&M's World, T-Mobile Arena, Ka Theatre - Cirque du Soleil, David Copperfield's Warehouse/Museum/Apartment, Bali Hai Golf Club, CityCenter Las Vegas, Monorail - MGM Grand Station, MGM Grand Garden Arena and more. The nearest airport is the McCarran International Airport at 4km. 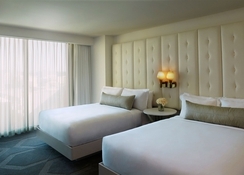 You will feel comfortable in any of the 1117 rooms at Delano Las Vegas with air conditioning, minibar and flat screen TV. Each room has a bathroom connected. The en suite bathrooms come with a bathrobe, hairdryer, whirlpool, toiletries and slippers. A comfortable sofa corner offers you the opportunity to regenerate. A minibar, safe and work desk are provided. In the rooms you will find the following household appliances: an iron, a refrigerator and a microwave. There is also a DVD player, a CD player, a radio and a TV. The hotel does offer accessible rooms. 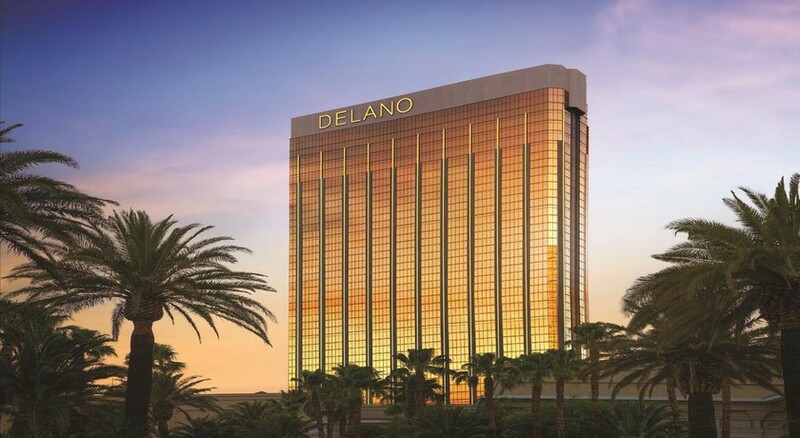 As a catering option, brunch is available at Delano Las Vegas. In ten minutes walking distance you will find many restaurants and bars including the Mandalay Bay Buffet and More - the Buffet at Luxor. There is also a varied nightlife in Las Vegas. Discover the Criss Angel Believe, the Minus 5 and the Mix Lounge, to get to know the city at night. Be sure to visit the spa with gym and Jacuzzi. The spa area invites holidaymakers to enjoy a massage. The following sports facilities await tourists at the hotel: golf, billiards or volleyball. The games room invites the little ones to discover a lot of fun options. Not far from the hotel there is the opportunity for cycling. Tourists can try their luck at the hotel’s casino.